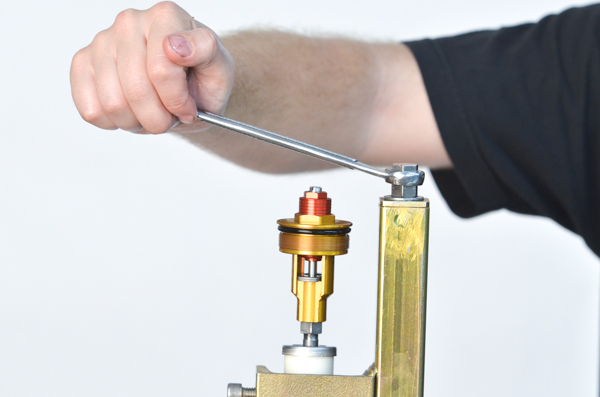 "How to Make the Adjusters Have the Right Amount of Clicks"
2) one that doesn't stop when you turn it in. 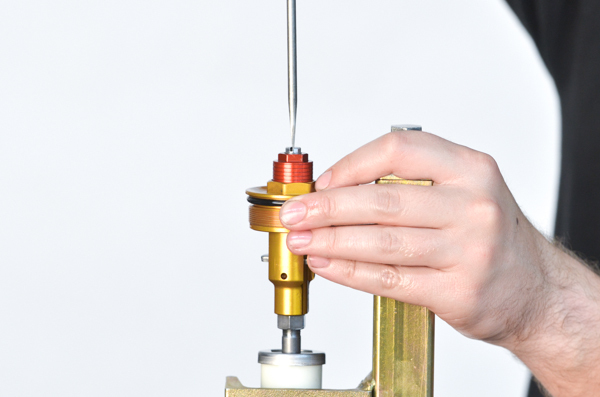 To see which type you have you will need to have the cap off the damping rod. Back out the adjusting screw (counterclockwise) all the way until it stops. Attempt to screw it in 6 turns, (count turns as not all caps have clicks). If it stopped turning at 4 or 5 turns you have the type where the adjusting screw stops. If you are still turning and a tiny ball bearing and spring fall out, you've gone way too far. If this happens look in the waste oil pan you have sitting under the bench in the corner as that is where most things you drop end up. With both types of caps the procedure is almost the same. These are some special tools you may want. FA19- Make sure the Rebound Adjusting Screw is backed out all the way then screw it in 20 clicks. 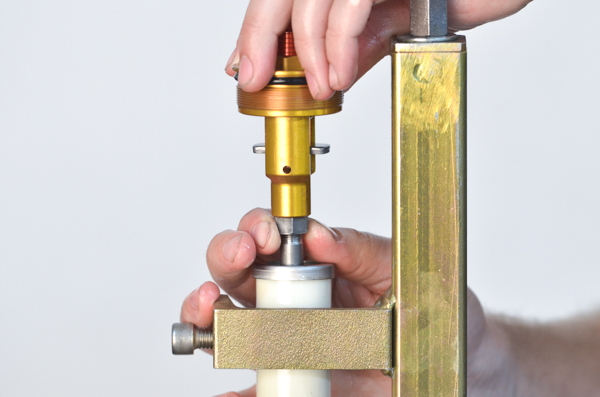 This step is important in setting the fork cap height as well as the proper number of clicks of adjustment. If there are no "clicks" back out the Adjusting Screw all the way then turn it in 5 turns. 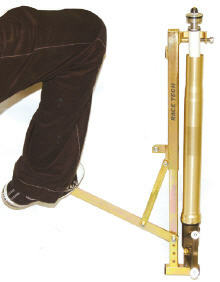 FA20- Tighten the Fork Spring Compressor but make sure you stop before the tool hits the top of the fork tube. 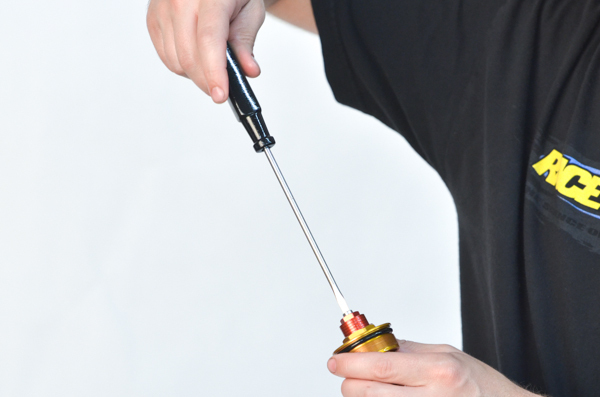 Tightening the tool is best accomplished with an electric drill with a socket or a speed handle. Do not use an impact or it will destroy the tool. 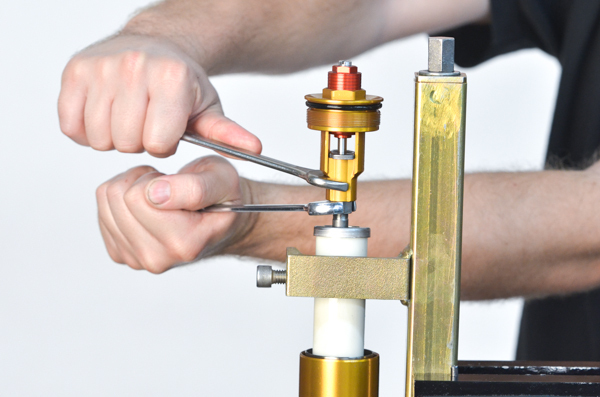 FA21- Once the fork is compressed enough, extend the damping rod and remove the Bleeding Tool. Check that the Jam Nut is on all the way. This makes sure it is out of the way for now. FA22- Install the Fork Cap. 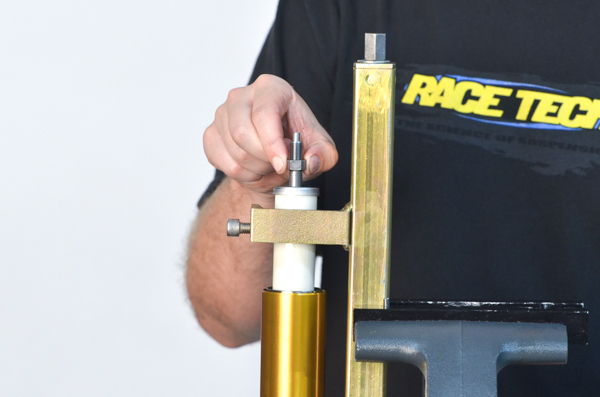 Make sure the Fork Spring Preload Adjuster is backed out all the way. FA23- Screw it down until it gently seats the rebound needle. 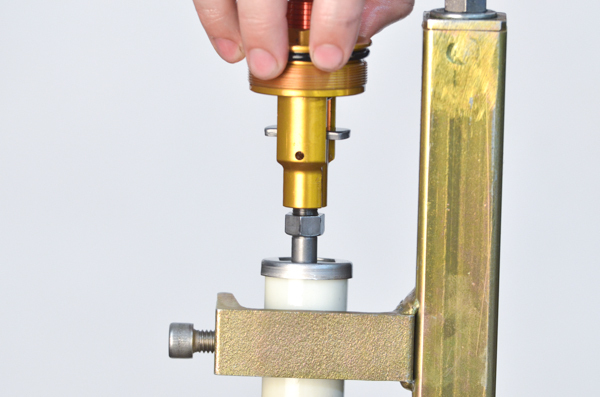 When the Cap is being screwed on to the Damping Rod the Rebound Adjuster Screw will eventually contact the Rebound Adjuster Rod. As you continue screwing the Cap on, the Rebound Needle will eventually contact the Seat and stop. DON'T FORCE IT!!! If you force it too tightly it will jam the Needle into the Seat and damage the seat... so be gentle. 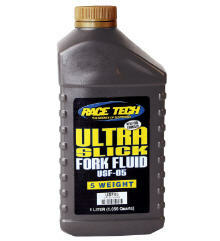 FA24- Bring the jam nut up against the fork cap. FA26- tighten the Jam Nut. Check the number of Rebound Adjuster clicks that are available. 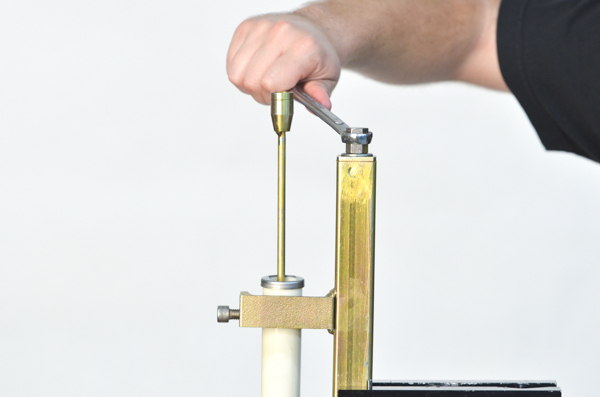 There should be close to 20 clicks (or 5 turns) as that is what the procedure we use creates. If it is more than 2 clicks different than that remove the cap and repeat the procedure. 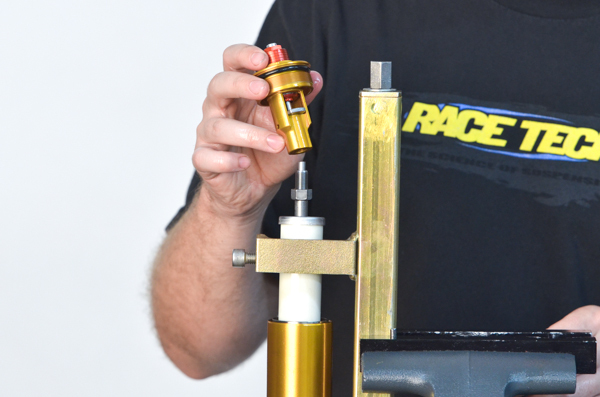 FA27- Unscrew the Fork Spring Compressor Tool and tighten the Cap.